The Centers for American Indian and Alaska Native Health (CAIANH), Colorado School of Public Health, University of Colorado | Anschutz Medical Campus, seeks a part time (.50 FTE) Professional Research Assistant to serve as a Researcher/Technical Advisor for the monitoring contract issued by the Indian Health Service Tribal Injury Prevention Cooperative Agreements Program (TIPCAP). The TIPCAP monitoring contractor provides professional oversight and technical expertise in the best practices in community-based injury prevention program planning, development, implementation, evaluation, training, and resource development to two types of grantees – Part I, Injury Prevention Programs and Part II, Injury Prevention Program Effective Strategy Projects. This half-time position will work closely with the Project Director to support the overall efforts of the project. More specifically, the Researcher/Technical Advisor will be responsible for assessing the needs of the grantees under TIPCAP and working closely with identified injury prevention consultants to determine appropriate resources and training opportunities that provide technical assistance to fulfill those needs. This position will assist in ensuring that the deliverables of the contract are completed. "Safe Sleep: Using Home Visiting and Welcome Family Visits to Improve Safe Sleep"
Join us to learn from the Massachusetts State team about their successes and lessons learned in integrating safe sleep practices into home visiting through the Welcome Family Home Visiting pilot. Health is influenced by more than an individual's health behaviors and their access to health care services. Nonclinical factors such as housing, transportation, food access, educational attainment, and income greatly impact health outcomes. These factors are often referred to as social determinants of health or upstream factors, and they are the focus of the BUILD Health Challenge. The initiative is looking to add 17+ community collaboratives in their newest round of funding and support. BUILD is a national funding collaborative focused on improving the health and well-being of individuals and families through BOLD, UPSTREAM, INTEGRATED, LOCAL, and DATA-DRIVEN community-driven projects. Its diverse founders, including the Colorado Health Foundation, understand the need to build cross-sectional collaboration across disciplines as well as focusing on upstream factors to effectively and sustainably improve community health. The hospital-community-public health partnership make this program both unique and sustainable. Three of the grants BUILD intends to award in this next funding round will be dedicated to the state of Colorado. Please visit the BUILD Health Challenge application website to view more details about the award and eligibility. There will be a webinar on January 31 to go over the details of the award--interested parties must register on the BUILD Health Challenge website. Applications for the BUILD Health Challenge will be accepted between January 10-February 21 2017 (deadline 5pm EST). "Building Effective Partnerships for Fatality Review"
Dr. Carolyn Cumpsty-Fowler will be presenting on different aspects of partnerships as strong and diverse partnerships are the foundation of a successful mortality review team. Partnerships are vital for all aspects of mortality review work, including reviewing deaths, abstracting and collecting data and identifying and implementing prevention recommendations. This webinar will focus on identifying and engaging new partners, identifying methods for improving collaboration with existing partners, and best practices in partnership building. If you are not able to watch the webinar live, you can find the recorded webinar posted with the slides on the NCFRP website: www.ncfrp.org. Research and personal experience tell us about the importance of friendships for adolescents. Still, we know that many adolescent boys struggle to make and keep close friends. A new video called “The Crisis of Connection for Adolescent Boys” underscores that adolescent boys want and need close, supportive friendships and provides guidance to professionals and family members on how to foster those relationships. This is the first in a new TAG Talks video series created as part of the Adolescent Health: Think, Act, Grow® (TAG) call to action from the HHS Office of Adolescent Health. Find the videos and supplemental materials on the OAH site. The Colorado Violent Death Reporting System (CoVDRS) at the Colorado Department of Public Health and Environment released a series of reports, profiling violent deaths in Colorado’s 21 health statistics regions. The reports contain detailed information on the burden, characteristics and overall profile of suicides, homicides and unintentional firearm deaths among residents of Colorado’s health statistics regions. These 21 regions are made up of counties and aggregations of counties developed by the Health Statistics Section in partnership with state and local public health professionals using statistical and demographic criteria. The goal of these reports is to inform injury and violence prevention efforts at the local and regional level. The data in these reports comes directly from the enhanced public health surveillance system CoVDRS which is part of the National Violent Death Reporting System (NVDRS). The NVDRS is funded and maintained by the U.S. Centers for Disease Control and Prevention (CDC) and aims to collect detailed, multi-source data on violent deaths throughout the United States. Once on the page scroll down to the “Colorado Violent Death Reporting System” drop down, and then click on the “Regional Reports” tab. This contains a map of Colorado, click on the region of interest and the appropriate violent death report will download/open. Please feel free to pass these reports on to any and all community stakeholders, violence and injury prevention specialists, local public health agencies, or any other interested parties. Recorded Webinar: "Health Equity for Transgender Youth"
The first webinar in the Colorado Public Health Webinar Series focused on health equity issues related to transgender youth in Colorado. Our presenter was Leo Kattari, an inspiring advocate for health equity and social justice. He currently oversees the Healthy Kids Colorado Survey at the Colorado Department of Public Health and Environment. Leo's background is in social work, policy/advocacy, community mobilization, and health education. He has worked with organizations, universities, and health care institutions across the country to advance the health and well-being of all people with an emphasis in LGBT health, leadership development, and community engagement. 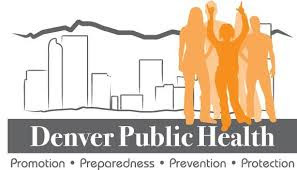 The School-Based Heath Center (SBHC) Program at the Colorado Department of Public Health and Environment is releasing a four-year Planning-to-Operations Request for Applications (RFA) to establish new school-based health centers in Colorado. The funding goal of this RFA is to expand the SBHC network in Colorado by investing with schools and medical sponsors who will evaluate available resources, assess need and feasibility of a SBHC in a community and plan to develop a new SBHC. Then, once the SBHC is operational, they will provide accessible, high quality care, in the most patient-centered, efficient and sustainable way possible, and utilized by the greatest number of high-need children/youth possible to improve health outcomes. The newly released U.S. Surgeon General's Report addresses a health and public health crisis affecting every community across our state. Facing Addiction in America: The Surgeon General’s Report on Alcohol, Drugs, and Health is a comprehensive review of the science of substance use, misuse, and disorders. Notably, the report includes a section on prevention strategies across the lifespan, from infancy to adolescence and into adulthood, and considers prevention strategies that impact the whole social ecology from individual-level interventions to social policy changes. The report also considers key risk and protective factors to prevent substance misuse from an evidence-based, public health perspective. The report is available online at https://addiction.surgeongeneral.gov. Are you looking for resources on how to have difficult conversations about substance use with youth that you work with and care about? Kognito's interactive online training allows you to "practice conversations about challenging topics with virtual patients." A variety of professionals can use these free trainings to practice screening and brief interventions to address substance use with youth. Please use and share widely! The Prevention and Technical Assistance Coordinator will focus on providing technical assistance and training to local partners engaged in motor vehicle safety work, collaborate with other state agencies to improve motor vehicle safety in Colorado and coordinate state-level task forces and work groups. This position will actively participate in statewide work groups and task forces and/or coalitions related to impaired driving, motorcycle safety, teen driving, traffic records, and injury prevention. Please apply or share with anyone who may be interested. WEBINAR: AAP Safe to Sleep Guidelines: What’s new in 2016? In case you missed it, on November 29, 2016 Dr. Rachel Moon presented on the new American Academy of Pediatrics (AAP) safe sleep recommendations, providing in-depth explanation and some historical context of the new recommendations and answering questions from the audience.